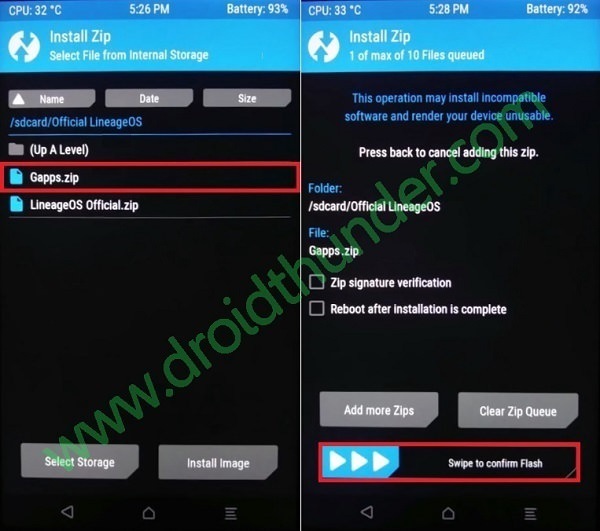 Install Android 8.0 Oreo based Lineage OS 15 ROM on Galaxy S2 i9100. After the superb Galaxy S, Samsung did a pretty good job by making its successor a well deserved one. Following the footsteps of its exceedingly popular predecessor, Galaxy S, the new Samsung Galaxy S2 i9100 packs in a 4.3 inches of AMOLED touchscreen with 480 x 800 pixels of resolution, a super speedy 1.2 GHz Cortex A9 dual core processor, 1 GB of RAM with 32 GB of internal memory, 8 megapixel primary camera and 2 megapixel of front camera for selfies. Launched with Android 2.3.4 Gingerbread, Samsung later upgraded it to official Android 4.0.4 Ice Cream Sandwich and then to Android 4.1 Jelly Bean OS. Even today many Android users use this phone due to its amazing specs and features. After JB, Galaxy S2 users never received any further official updates from Samsung. 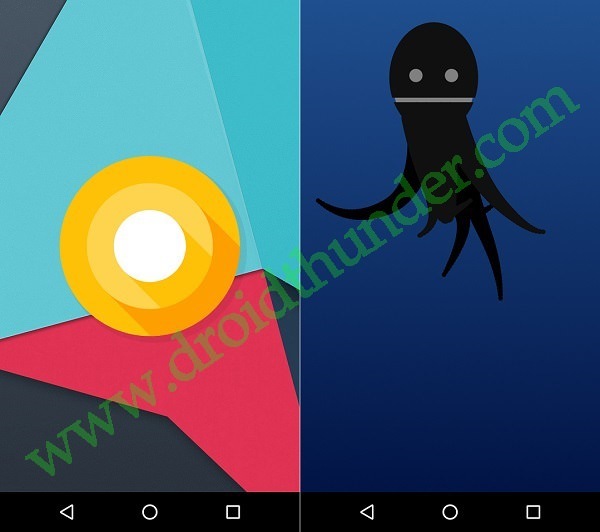 But thankfully many Android developers started building unofficial third party custom firmwares in order to enjoy as well as experience the newly launched Android version on this beautiful phone. 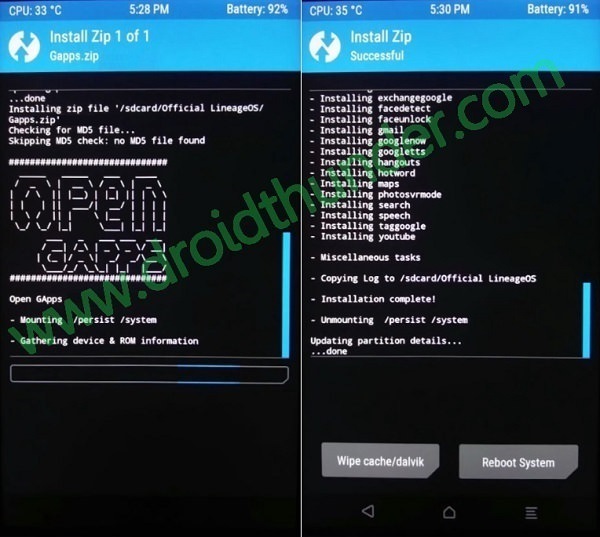 Recently rINanDO, a senior member from the xda community has developed the newly launched Android 8.0 Oreo based Lineage OS 15 unofficial custom ROM especially for Samsung Galaxy S2 i9100 smartphone. Thanks to him, the Galaxy S2 i9100 users can now enjoy the breathtaking features of Android Oreo on their phones. 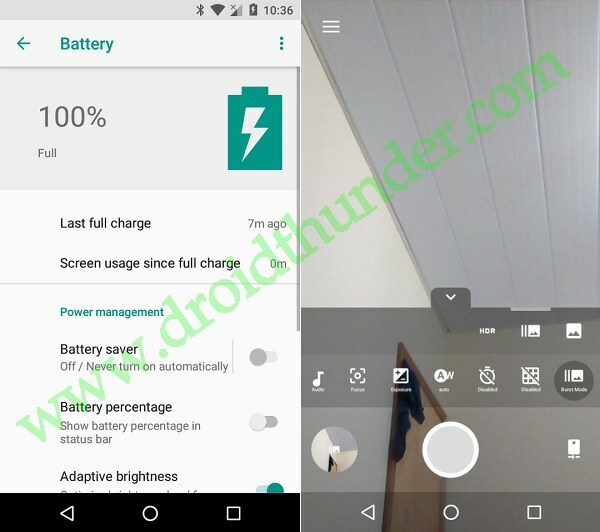 This ROM has many new improvement in the overall UI, some performance enhancements and few battery tweaks as well. 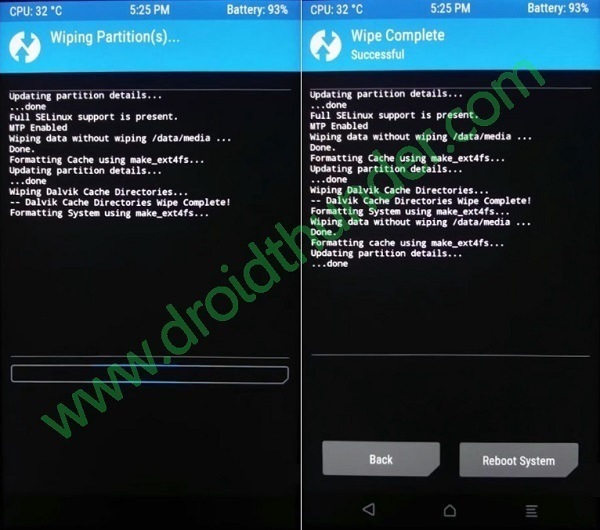 The procedure given below for flashing the latest Android 8.0 Oreo based Lineage OS 15 custom ROM on your Samsung Galaxy S2 i9100 is much risky and may permanently damage your device, if not implemented correctly. The Android users who are quite familiar with this process and have a complete knowledge regarding this stuff can proceed further. But for the newbies who are completely un-aware of this thing, we recommend you to stop right here. 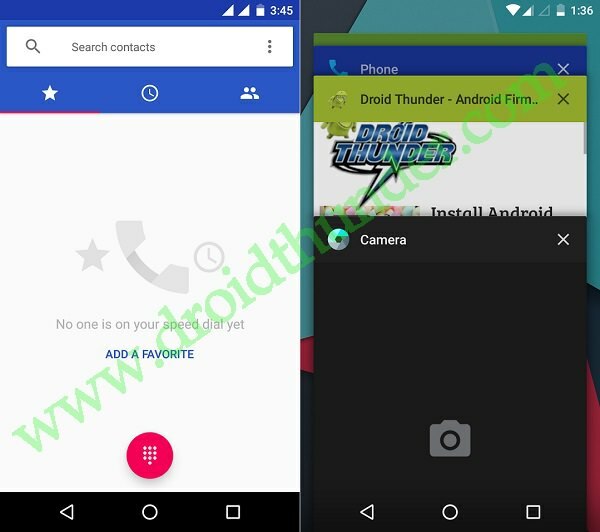 If in case your Galaxy S2 gets damaged or bricked by following this article then neither we at droidthunder.com nor the developers of this ROM will be held liable for that. Even though the chances that your mobile will get damaged is least, but still I highly recommend you to follow all the steps mentioned below properly and without attempting anything by your own. 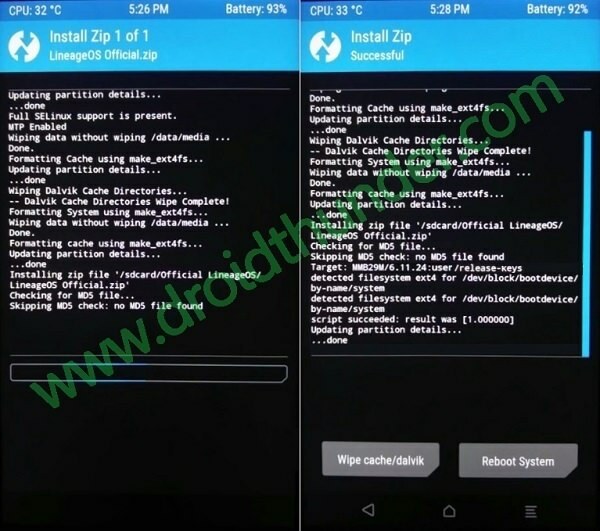 This Android 8.0 Oreo based Lineage OS 15 ROM must be flashed only and only on Samsung Galaxy S2 GT-I9100. Don’t try to install this Lineage OS 15 custom ROM on any other device or variant as it might permanently damage or even brick your phone. It is better to verify your phone first before moving ahead. Ensure that your device has a proper battery backup before moving to flashing process. Lack of battery may increase the risk of interruption in the process thus leading to further problems. So I highly recommend to charge the battery of your phone at least up to 60%. Backup your contacts, applications, messages, call logs, memos, apn settings etc. 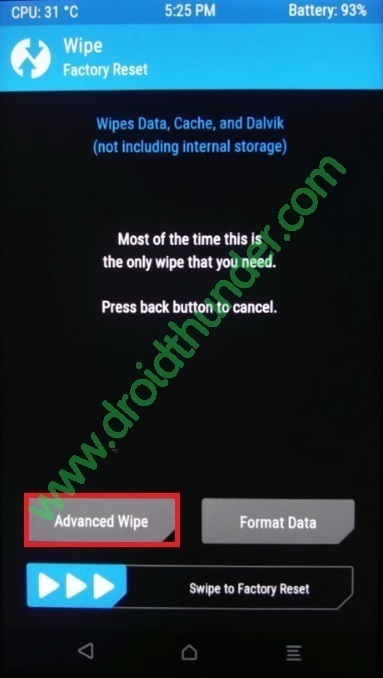 This is essential as in the last step of this flashing process you need to wipe all your data and cache from the phones internal memory. 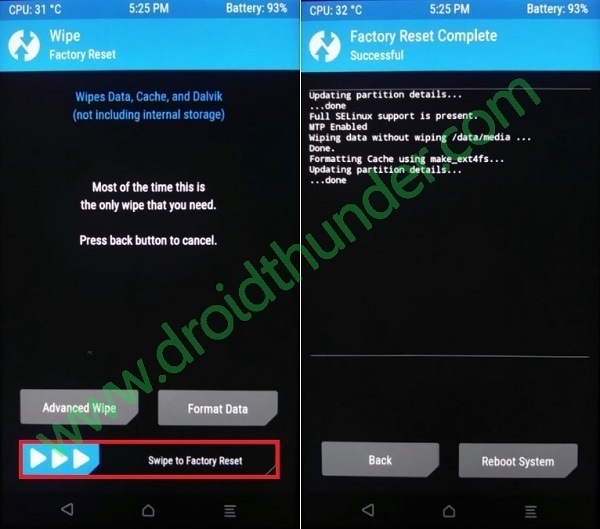 How to backup and restore EFS/IMEI on Android Phones. 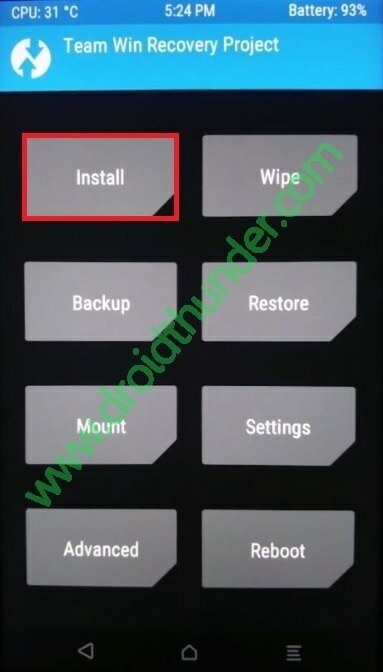 How to Root & install TWRP recovery on Samsung Galaxy S2 i9100. Also ensure that you’ve enabled the USB debugging mode on your phone. If not, then do so by following the path Menu->Settings->Developer options ->USB debugging. If you can’t see Developer option then go to Settings->About Phone and tap 7 times on the Build number. This will make the Developers option appear in the Settings menu. Download Android 8.0 Oreo based Lineage OS 15 ROM for Galaxy S2 i9100. 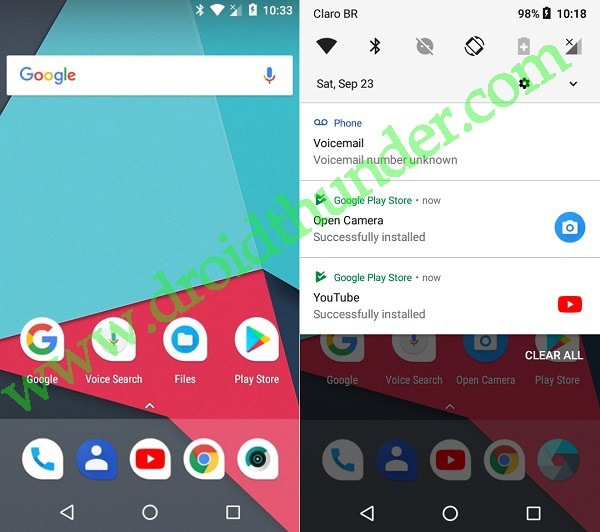 Download Google Apps (Android 8.0 Oreo). Step 1: Download both the ROM package and GApps zip files on your computer. Note: Do not extract these zip files. Step 2: Using micro USB cable connect your Galaxy S2 i9100 to computer and transfer both these zip files on your phones internal memory. Then safely disconnect your phone from computer. Note: If you don’t have computer, then you can even directly download these zip files on your phone. 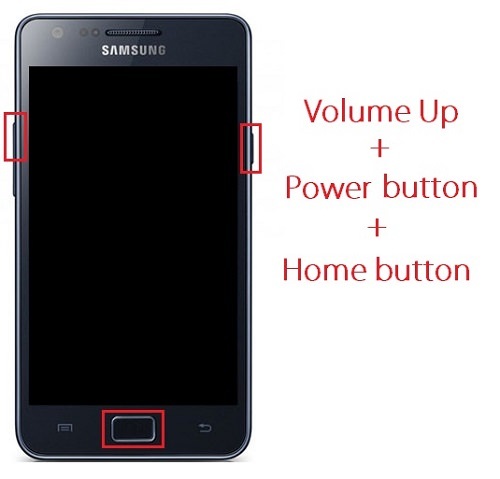 Step 3: Next power off your Galaxy S2 i9100 completely until it vibrates. Step 4: After that, you need to boot your phone into TWRP custom recovery mode. 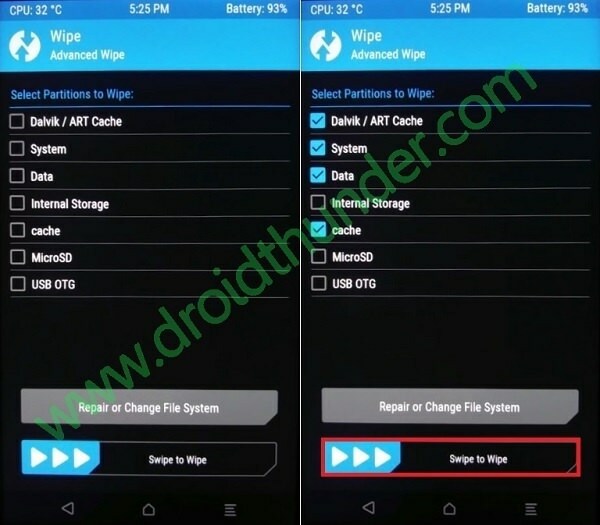 The same can be done by pressing and holding Volume up key + Home button (middle button) + Power button simultaneously until your phone lands into TWRP custom recovery mode. Refer screenshot. Note: Once you enter the TWRP recovery mode, the first thing you need to do is take a complete backup of your current ROM. 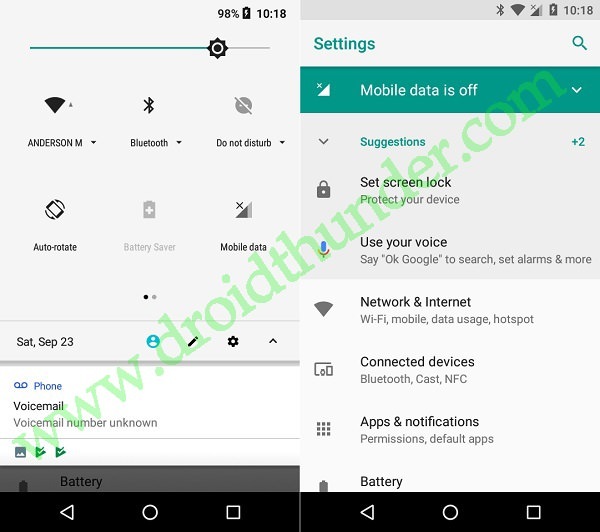 How to take Nandroid Backup of any Android Phone with 8 simple methods. 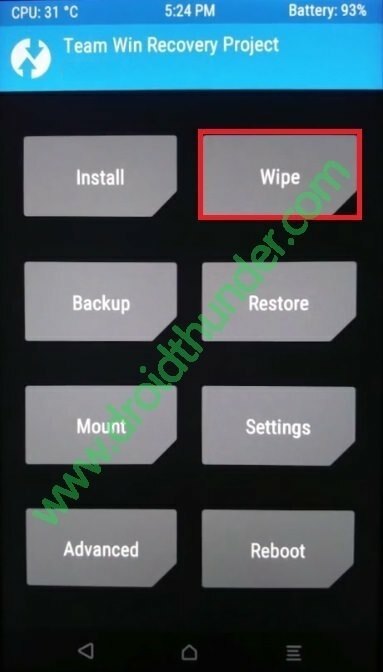 Step 5: From the main menu of TWRP recovery, select the Wipe option. Step 6: Then, from the next screen swipe right to start the factory reset process. Note: This step will clear the data on your phone memory so make sure you have backed up everything before performing this step. Step 7: After wiping out everything again go back to the main menu and select Wipe option. Step 8: Then click on the Advanced Wipe option present there. Step 9: On the next screen, select the particular partitions to wipe. Then swipe right to start the wiping process. Step 10: After the wiping process completes, go back and select the Install option from the main menu. This will show you all the files and folders present on your phones memory. Step 11: Just find the Android 8.0 Oreo based Lineage OS 15 ROM which you’ve copied earlier and select it. On the next screen just swipe right to start the actual Lineage OS 15 ROM flashing process. Step 12: Wait and be patient until the flashing process completes successfully. It will hardly take few minutes. As soon as it completes, you’ll see the successful message on the screen. Step 13: Now go back and install the Google Apps package (which contains Play Store, Maps, Gmail, Gtalk etc.) in the same way as you’ve installed the Lineage OS 15 custom ROM. Step 14: The flashing process completes here. 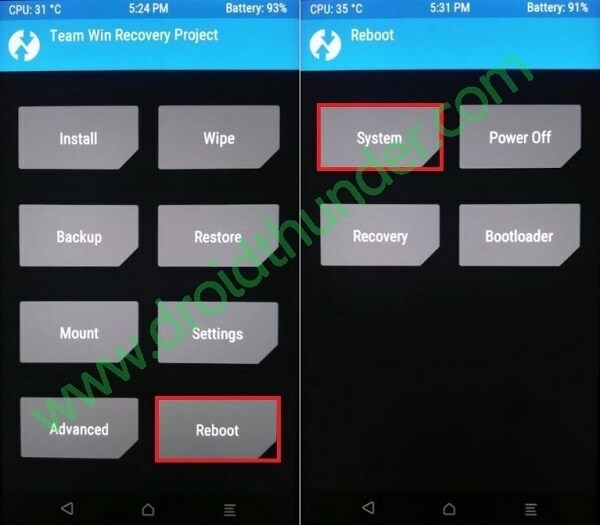 Now you may restart your Galaxy S2 i9100 by selecting the Reboot->System option present on the TWRP recovery mode itself. Note: The first boot will take more time to start than usual. Also Read: Install Official Android 4.1.2 XWLST Jelly Bean firmware on Galaxy S2 i9100.